The enormous diversity of styles and types of coffin and casket now available to the public would have been unthinkable 20 years ago. The choice can be overwhelming – and making the right one has never been more important. At Paul Dellenty we can help you make the right choice. Square pressed panel, half round on lid, shown with Kingston Handles. Oval pressed panel, raised lid, stained, shown with Hereford handles. 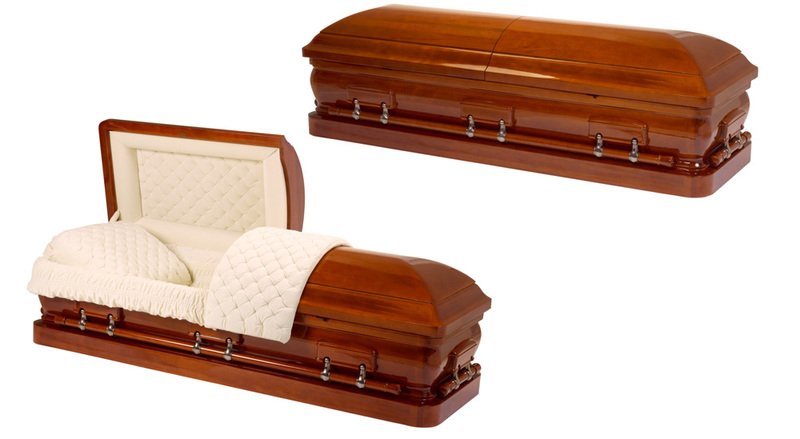 Solid Mahogany Casket, high gloss finish, pale cream cross pleated velvet interior and lid panel. Platinum finish with ebony shading. Cross pleated silver crepe interior and lid panel. Split lid with moulded goblet corners, fixed bar handles and adjustable bed. A very personal tribute to your loved one. Choose from many styles and themes, you can even design your own. 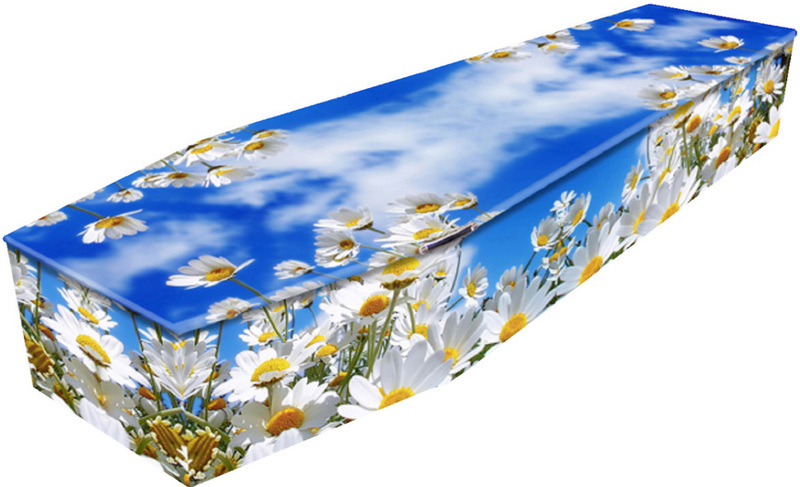 All the picture coffins are available in a variety of styles from traditional wood to ECO friendly rattan. 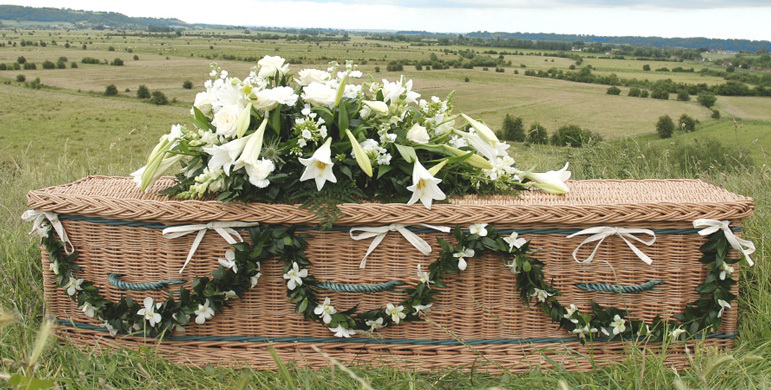 Each one of the wicker willow coffins has been beautifully & daringly hand woven by a skilled basket maker in their Workshops in Somerset. 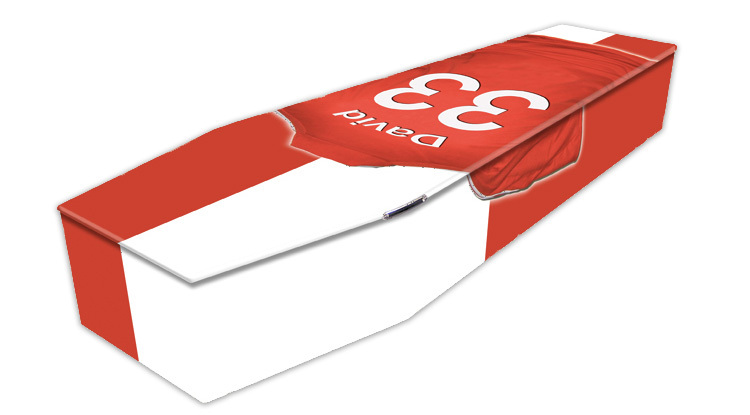 Making each coffin unique, special & a personal tribute to a loved one.